The scene on Christmas night after the TV left on standby caught fire causing damage throughout the room. 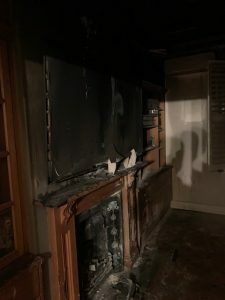 The fire in my home on Christmas night 2018 was a giant wake up call to me and I thought that I would share some risk management treatments I have been implementing personally. I have, no doubt due to my profession, been risk averse and I was already in the process of upgrading my gutter and roof system at home in view of what I perceive to be an ever increasing frequency and severity of intense storms. Two new enlarged rain heads. Two of 5 replaced around my home. 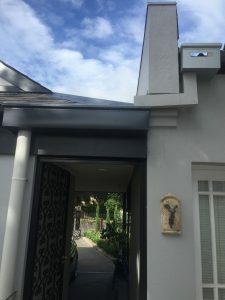 Part of this entailed installing much larger rain heads with overflows at each down-pipe, installing additional down-pipes, increasing the size of the storm water pipe system and extending the length of the roof on a patio. Months before the fire I had commissioned an electrician to install additional smoke detectors and some carbon monoxide detectors on the advice of one of our senior risk surveyors who shared the statistics on the number of deaths from people asleep at the time of the fire and the fire occurring in the bedroom while the smoke detector was in the hallway or common areas. By the time the remotely located detector had activated it was too late. The electrician was busy and as this was a small job it had not happened by the time of my fire much to my chagrin as I believe that had they been installed the fire would have been detected that much sooner and the damage would have been less. I have therefore sacked that electrician and engaged another one who is to install the additional detectors tomorrow. Thanks to the fact Helen, my wife, woke up and the fact we had a fire extinguisher (we now have 4) the fire was contained to one room and did not get into the roof space. On reviewing the lessons learned I have also made some changes. I am having an extra switch that is easily accessible installed beside each TV in our house so that I can physically turn off the power to the unit when it is not in use. The unintended consequence is that our power bill has already gone down as TV’s on standby still draw 70% of the power when sitting on standby as opposed to being on. 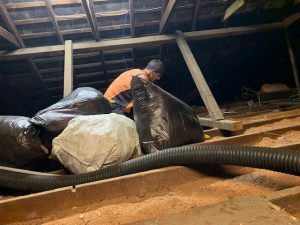 One of the team removing the sawdust insulation in the roof space of my home. The big discovery was the fact that up in the ceiling space of our home, originally built in 1890 was 100mm (4″) of sawdust as insulation. This material creates a huge fire load and I visualised the fire brigade having to pump in tonnes of water to put it out and the weight of the saturated sawdust causing the ceiling to collapse. The same may have occurred if the slate roof was holed and rainwater got in on the sawdust. The other concern I had was that if the fire brigade was late the timber lathes above the plaster ceiling catching fire and burning debris spreading the fire throughout the entire home. 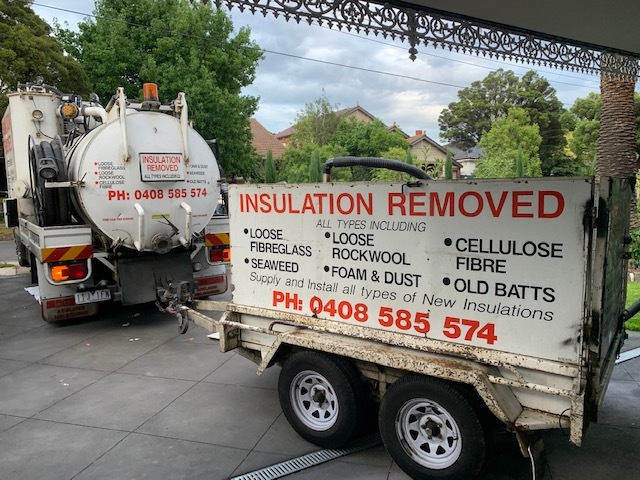 To reduce this risk and probably improve the thermal efficiency of the home, I have had contractors vacuum up all the sawdust, estimated to be close to 5 tonnes today. This will now allow easy access to the electrician so he can run the wires for the hard wired smoke and carbon monoxide detectors. A couple of the detectors that are connected to my mobile phone will be up in the ceiling space. Despite all this, I did not stop there. Due to the increasing incidence of homes being flooded due to burst flexible hoses beneath sinks, wash basins, washing machines, refrigerators and dishwashers, I have also installed a couple of detectors that alert me if there is a failure. Carrying out a visual inspection I felt the piping to the ice-maker in our refrigerator had seen better days so I replaced that as well as the filter. I am now looking to see what is available that will not only alert me but automatically turn off the stopcock to prevent serious damage should I not be home. If I am successful I will share my findings. Once all this work is done, the new fire resistant insulwool insulation will be installed and I then intend to install sarking under the roof to reduce the risk of water ingress due to water being blown up under the slate tiles. All this comes just after I had upgraded our burglar alarm system and video surveillance due to the increased incidence of robberies in our area. You can never stop burglaries, fires, water or storm damage completely, but I am sure all these risk management measures will have reduced the risk in my home for to me, insurance remains something you must have but only to be used as a last resort. Luckily, I was prudent and risk averse in the insurer I chose and the sum insured I selected. My insurer, their loss adjuster and the trades have been very supportive. Having said this, I had forgotten just how much stress and distraction managing a loss for yourself can be even with first class protection. I do not wish it upon anyone. I hope that this post gets you thinking about your own home and what you can do to reduce the risk of fire, theft, storm and or water damage. If nothing else check your insurance is up to date and has an adequate sum insured. Wouldn’t it be great if some of these physical risk mitigation measures became part of the standard specifications for new homes?